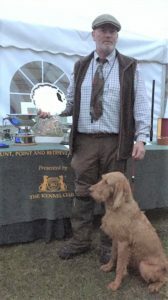 Very pleased and proud to have won the Kennel Club 2017 Hunt Point & Retrieve Championship with Molly (Hourra Du Domain St Hubert) our Hungarian Wirehaired Vizsla. 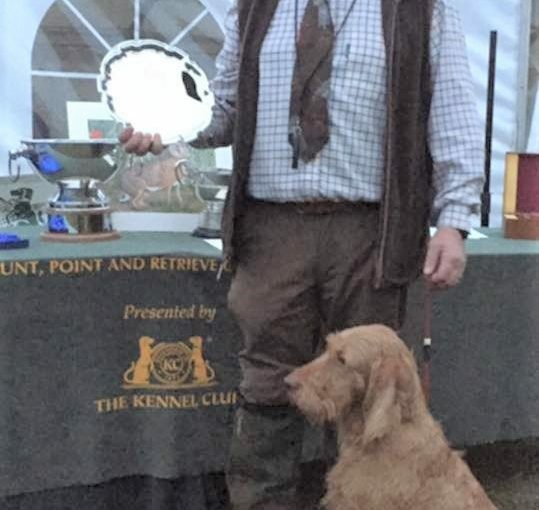 The Championship was held over two days and this year was kindly hosted by Lord Iveagh at Elveden Estate, Norfolk and sponsored by Skinner’s Dog Foods. The judges were Mrs R Dockwray-Howard and Mrs J Robertson. Thanks to the Kennel Club, organisers, guns, competitors and Judges.